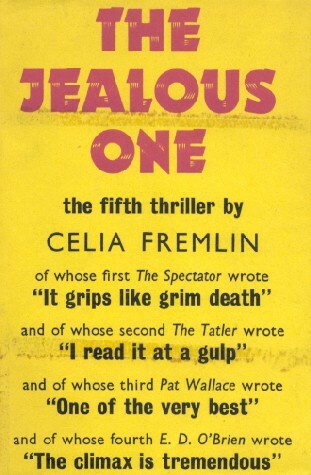 THE JEALOUS ONE was first published in 1965. In it Celia Fremlin rose to new heights of tension, and greater depths of mystery and ice-cold menace, than ever before. Impending tragedy, born of jealousy, grows with the relentlessness of Greek drama – accompanied by the suspense and sickening fear of an early Hitchcock thriller.